Read throughout this post to learn the best portable solar panel to purch​ase from the market today, plus comprehensive buying guide that will help you a lot. Dead battery? Have you ever experienced such circumstances wherein your phone battery is dead, or the handheld GPS battery is gone as well, but you are in the middle of nowhere? That is so irritating, right? And there are still numerous life’s instances wherein a dead battery is such a nuisance. However, don’t you know that there is already a presence of portable solar panel? Oh! Don’t think solar panels that are too bulky, instead think of them as something that you can always bring with you wherever you go! Yes, solar panels are now portable also. And there are extensive options in the market today that you can choose from. So, I decided to come up with this buying and review to help you find the right product for your needs. Continue reading fellas! Whether for home, camping, driving or traveling, go power portable solar panels allow us to charge our electronic units without having to use the twelve-volt outlets. To ensure you are investing in a right set portable solar panel charger, here's our list of the seven must-have portable solar panels. To define portable solar panel in simplest words, it is considered as technologies that we could carry for us to address our emergency needs. And these requirements might include electricity failures, camping as well as mobile charging. Indeed, solar energy is known to be present everywhere. However, there is still a need to deploy various devices to make use of it. Though you can also charge batteries with generators, would you like to experience the noise it provides, and how heavy it is to be transported? I don’t think so! With the popularity of these solar panels, they are referred as a go everywhere option to your power needs. They are also great for camping, traveling with your RV and hiking in the mountains. And there are other uses of this device that are useful to the humankind. The first type is the mono-crystalline solar panels that are described with a “wafer look.” This silicon, known as the purest form available, is then trimmed on four sides before sliced into wafers as for reducing the cost of and increasing efficiency of the panel. Mono types of panels mainly perform better compared to the polycrystalline solar panel in low light or partially-shaded conditions. Most of the time, they cost more due to the added purification process of the silicon that is costly. For this type, this has a characteristic of a “blue look.” These solar panels have rectangular cells in appearance since they aren’t trimmed the same as the mono cells. And the crystalline structure is not as pure as the monotype so they provide less efficiency for size than the mono panel. The Copper Indium Gallium Selenide is a typical kind of a Thin Film solar array that produces much output than the Thin Film formats having an efficiency close to 10 to 12 percent. Besides, it also contains less cadmium which is a toxic substance that is used in making panels. Those applications with the use of the flexible formats are great for applications that aren’t well-suited to the rigidity like foldable arrays and portable solar arrays. This one is a newer technology wherein silicon is being applied onto a substrate surface and so reduces the cost a lot further, needing less than a percentage of the silicon of the same sized mono or poly panel. There is also a trade-off in efficiency that dips down to almost 7% to 13% than the higher 15% to 20% of the crystalline panels. Besides, this type of solar panel also allows solar to be integrated with many objects only at lower cost making it so attractive for more significant installation wherein size doesn’t matter. From these types of solar panels, which one would you purchase? It is your decision to make whether which one suits your needs the best! Though I am saying that portable solar panels are great to consider, still, not everyone could benefit from them. So, have you ever asked yourself if why do you need this kind of solar power system? Well, let us focus on the idea that most RVers and campers are the ones to benefit a lot from these panels. You might be one of those people who enjoy listening to music as well as weather reports as you go somewhere or into camping, am I right? So, if yes, then a portable source of power is a convenient solution. These solar panels supply enough electricity to let you run your devices, so you don’t have to worry at all. Various electronic devices are used to stay in touch and gather information while you’re at camping. But what if they run out of battery? By bringing a portable solar panel with you, you can already charge these devices. And in times of an emergency, you can always rely on this solar panel. Though you want to experience the wild, I assumed you still brought with you something that will make the experience a lot more comfortable with a portable fan or electric mug warmers. Well, without solar panels where would you get a source of power? I think a handy solar panel is always a rescue! Well, the most prominent saving right after you invested in this kind of solar panel is the free energy that you can enjoy only by adding sunlight. Compared to gen set which needs constant refueling, you just need to put these solar panels under the sun to charge. No more additional costs at all! Generators are still considered famous, but increasing numbers of campers are switching to solar panels instead. This power source is a lot more environmentally-friendly by providing a silent and carbon-neutral source of clean energy. There are no harmful gasoline fumes at all. These are just some of the reasons why you need to have a portable solar power system and there are more other reasons out there! You might still be in doubt whether you should opt to buy portable solar panels than the conventional roof-mounted and fixed solar panels. Well, let me give you more ideas as we compare these two. Whatever option you make, both will offer you with pros and cons. First, bear in mind that portable ones max out at about 200 watts and for sure you can buy many of these and connect them to a single controller. However, time will come that it will also be a real pain. Once you need more of solar capacity, why not consider the combination of the fixed, roof-mounted panels and this portable solar panel too. On the other hand, the stable solar panels mounted on the roof are the easiest ones to deal with. You aren't required to deploy them since they are always there. But, there are also pitfalls out of using this one. Portable ones are the trends nowadays since most of us are always out for doing some outdoor activities like RVing and camping. So, a compact solar panel has its place in the world of RV, wherein the roof-mounted ones might lack such feature. Indeed, from the above comparison, portable solar panels are a great option if you don’t think you are going to need the capability to charge the RVs batteries through solar that much or you couldn’t justify installing the roof-mounted ones. Still, at the end of the day, it is your choice, a portable one or not? Let us also define some of the most important terms that might come along with your portable solar panel. These are the parts of the portable solar system which regulate the amount of the voltage which gets transferred from the solar panels to the RVs house batteries. They will read the voltage batteries and would change the energy which is going into the batteries from these solar boards based on the current state of the battery charge. Charge controllers come in two flavors, and they are the PWM or the Pulse Width Modulation and the MPPT or the Maximum Power Point Tracking. The former is less efficient yet cheaper than the latter one. Though this one isn’t a big deal, still it is better to ponder about this. Electrical connectors could be changed once needed, and most users of this solar panel will not care the kind of connectors that would come with a specific system as they will be using the supplied wiring harness as well as the alligator clips to connect to the battery bank of the RV directly. The batteries are the ones where you would actually store the power that is generated by the solar panels. Indeed, solar energy is so sporadic wherein you couldn’t use it efficiently straight from the panel. It is natural for RV installations to work on with 12 volt systems. And in most cases, the lightning, as well as many appliances, could operate at this voltage having no additional components. In most circumstances, the solar panel batteries are 6-volt batteries than the 12-volt. So, for you to create the needed 12-volt circuit, there is a need for a bit of wiring. It might not be as complicated, and if it’s already assembled, you aren’t required to make any changes only when replacing the battery. Also, batteries are being rated in Amp hours wherein the battery could put out a certain amount of amps or current for a certain amount of time or hours. Directly charge from the solar panels. Connect the phone to one of the USB outputs, and you will need constant and direct sunlight for this to be a great option. You can also charge right from the solar-charged battery bank. You can utilize the power bank to recharge all the device batteries at night. Just plug the charger into the battery bank directly. Or you can directly connect the power bank to your device. This is considered as an excellent choice for night lapse shoots. Indeed, power banks are multiple times a lot more powerful compared to the standard battery. We cannot deny the fact that solar is free energy that we could use without any side effects such as polluting our dear environment. We have the freedom to use it so long as we are under the sunshine. And these days, we have our latest technology to harvest this kind of free energy source. There is a need to understand the amount of power that it could supply. Could it run the equipment or could only let it charge? You also have to ensure choosing the solar panel which fit the equipment power requirement. Of course, you decided to buy a portable solar panel because you want to carry it comfortably. Choose the one that is light enough, so you don’t need to worry about bringing it along with you. Some brands provide backup batteries together with the solar panel. And so, this could let you charge the battery. Indeed, it is a wise choice that you purchase one with a backup battery. Most of us ignore this factor. Bear in mind that you would need to put the cell under the sunlight. But, the equipment might not be suitable to be used under the direct sunlight. And so, this is where the length of the cord plays an essential role. This one is also a crucial factor to consider for most people. Make sure that the solar panel is waterproof once you plan to go with a boat and camping in the jungle. You will be more confident if the warranty length is longer. You are guaranteed that the product is durable, high quality and could be used a lot longer. Always consider the warranty on the product once purchasing one. Don’t focus on the price tag, rather focus on the solar panel quality. You must not go shopping for this product unprepared. It is a big NO that you buy solar panels only with a basic warranty. 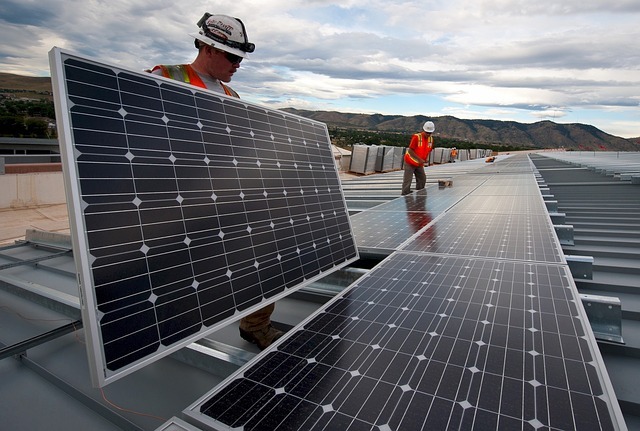 Don’t underestimate the significance of high-quality solar components as well as construction. Don’t waste time and wait for the latest technology before buying a solar panel. And also, you should avoid buying camping solar panels online or from a company without having solar expertise. There are currently many options for best portable solar power systems available. It may be good to have more choices, but it is recommended to opt for the right product that perfectly fit your requirements, needs, and budget. This is where our reviews of the best portable solar panel come to the rescue – from the lightest models to the stronger options. And, we hope you will find this review helpful. Want a portable solar panel kit that boasts a right combination of performance, quality, and price? Then, this solar panel is what you need! Renogy solar panels are a correctly built aluminum frame. There's an excellent padded case that comes standard with the model's portable system, offering sufficient protection while you are not using the panel kit. A battery voltage lead and a battery temperature sensor lead is included, which enables the charger controller to regulate the charging restrictions and monitor the battery bank temperature. The downside, however, is that it is only available in one size, the solar charger controller is not waterproof, and it is quite expensive. The RAVPower 16W is very lightweight (weighing 15 ounces) for having a 3-panel design. With an 18-month warranty, this solar power can be your excellent companion for camping or hiking trip. The design is quite similar to other fold-out panels out there, but the features will definitely entice you to have one for your next camping or hiking adventure. It is specially designed for those looking for a relatively efficient and lightweight panel without spending too many dollars. An extensive array of sizes and designs are available to figure out your needs. However, a LED indicator is not included. When it comes to reliable, durable and affordable portable solar panels for home, the Instapark 10 Watt Solar Panel is one of the most sought-after. Made with monocrystalline silicon technology, this model is designed for various uses. For instance, a five-watt solar panel may be enough for charging an electric gate, whereas a twenty-watt solar panel can power lights, digital cameras, radios, laptop computer and any other small devices. It offers an easy-to-access, big external pocket you can use for storing any of your electronic units. The disadvantage of buying this panel is its weight. You may find it huge for packing tight. A super lightweight solar panel kit to keep your tablets, laptops as well as portable speakers, Kindles, or smartphone charged up everywhere you need, the Goal Zero Sherpa 50 is light to carry and easy to pack. Perfect for traveling! If you don't have electrical grid access, then you may consider buying this device. The two solar panels have a built-in case you can fold in half. Here, you can keep an adapter or cable. You can charge the Sherpa 50 in the sun, car, and wall. Although, you may experience small trouble when charging a MacBook. Undeniably one of the most popular foldable and portable solar panels for RV, home, and even traveling, the Anker 21W solar panel kit is designed to impress any individual needs and budget. If you find yourself in extreme climate conditions on a frequent basis, this solar panel kit could be your best friend – thanks to its PET polymer panels embroidered in a rugged fabric. Besides, it is water-resistant. You can charge two devices simultaneously. Although, the pocket is too small, unable to hold extra accessories and cords. The Goal Zero Guide 10 makes use of rechargeable AA batteries, besides charging AAA batteries through the included insert – adding flexibility dimension to the panel charger because you can be able to charge tablets, smartphones, portable radio, flashlights and more. Two foldable, separate products are included in the kit, the Nomad 7 solar panel and the Guide 10 plus Recharger. You need 3 to 4 hours charging the battery pack with seven watts of charging power. It comes with various accessories, too. The battery charges in six hours thru USB, though. Not good news for those who are always in a hurry to charge their devices. Looking for a portable solar panel for RV that won't disappoint your wallet but comes with both versions of a solar cell? The ECO-WORTHY is an ideal option! This portable solar panels camping can be your most affordable way to generate power for the RV through the sun. It can be purchased both in polycrystalline and monocrystalline solar cell versions. There's an aluminum frame as well as a reasonably great latching system and carrying handle to ensure the solar suitcase is appropriately in a closed position. There are downfalls in buying this solar power, though. The construction quality is cheap, plus there is no protective or carrying case, and you'll not be able to adjust the panel tilt angle. Each of these solar panels deserves a high five, but for me, the Renogy Solar Panel Bundle Kit is the real winner. Although a bit pricey, it proves to be a reliable, efficient and durable workhorse that is built to last. This means, saving more money in the long run as you don't need to buy a new one over again. Again, if you plan to buy a portable solar panel, the buying guide and reviews provided above could indeed help you pick the right one that matches what exactly you are looking for! Interested in one of these solar powers on the list? Have other recommendations of the best chargers that we did not include? Share us your thoughts below and we will be happy to entertain you! Don't forget to like and share!